Twenty-two puppies were left in need of homes when a Long Island pet store closed its doors last month. Luckily, Great Neck Dog and Cat Hospital took in every single one of the pups. To help them find their forever families, the animal hospital planned a special adoption event. "Project Puppy" went off without a hitch on Sunday, and dozens of potential adopters came to meet the rescued pups. 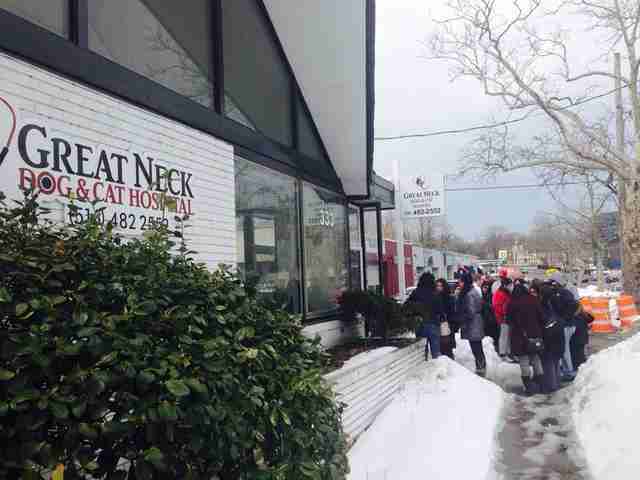 Great Neck Dog and Cat Hospital received more than 120 applications for the puppies. 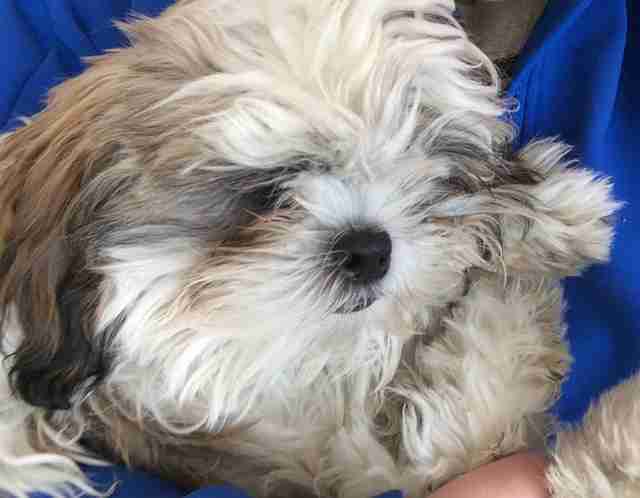 The 22 puppies, including purebred Yorkies, Boston terriers and Chihuahuas, came from a troubled pet store. 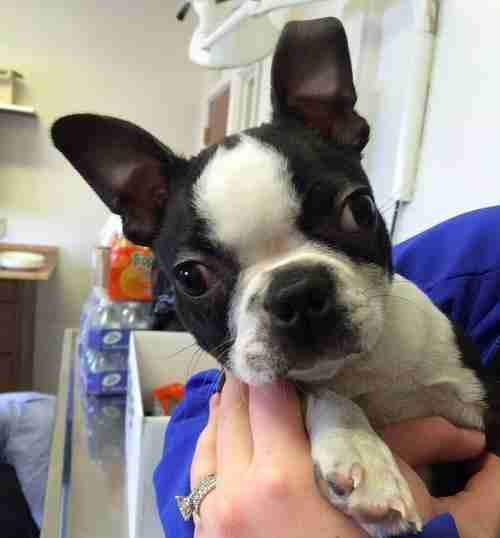 Great Neck veterinarians had been working with the shop to try to improve the living conditions and health of the puppies sold there, but ultimately the business chose to shut down, leaving their unsold puppies in limbo. 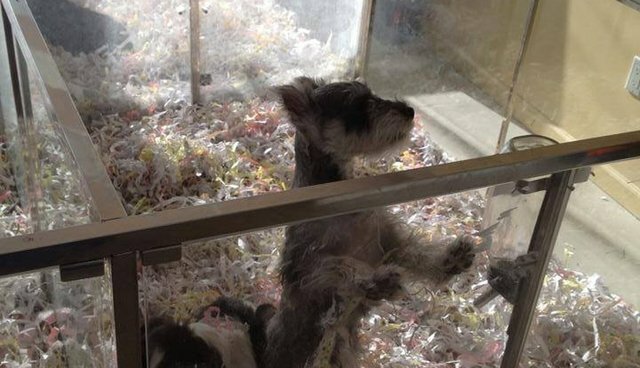 The animal hospital knew the puppies would suffer if they were sent back to their breeders - likely puppy mills, or large-scale commercial breeders, since they ended up in a pet store. That's when the hospital took them in, making sure the dogs were well fed and cared for before they went to their forever homes. The staff is currently sorting through the many applications from families ready to take home the adorable rescues. While this story will have 22 happy endings, things could have gone differently if the Great Neck Dog and Cat Hospital hadn't stepped in. Most puppies sold in pet stores or over the internet come from puppy mills, where they endure devastating conditions and are often sold with behavioral or congenital problems. Don't support this cruel industry: if you are ready to offer a dog a forever home visit your local humane society or search for adoptable rescues on Petfinder.